The Welso Elliptical Trainer is ICON Fitness’ offering to the more practical, everyday – average person like you and me, who are looking for a great way to train, without the strain in your budget. With the Welso Elliptical Trainer, enjoying a healthier and more vibrant life is literally just a few steps away. 2 What makes it a popular choice? Created by the fitness mogul ICON Health and Fitness, you can bank on Weslo Elliptical Trainer’s quality and functionality that will easily fit your lifestyle and investment. ICON is one of the leading innovators in the health and fitness industry, owning some of the most recognizable brands as Nordick Track, FreeMotion Fitness, Proform, Weider, HealthRider, EPIC, Image, iFit, Weslo, and licenses Reebok and Gold’s Gym brands. They have been in the industry for 31 years from their humble beginnings in Utah since 1977. What makes it a popular choice? Weslo Ellipticals are a sleek cross trainer machine that simulates walking and running in the comfort of your own home and is specifically constructed for fitness beginners. It is a wise fitness equipment investment to the financially sound individual, with all the benefits and sheer enjoyment it brings. Weslo Ellipticals is available and is quite a popular fitness choice in various health and equipment stores among consumers as it gives you a great cardio workout at $300 or less! Most fitness experts agree and recommend Weslo Ellipticals by ICON as a great choice of equipment to the average health consumer like you and me. With most cross trainer equipment nowadays costing over $500, smart consumers make Weslo their number one practical choice. Among Weslo elliptical’s most common favorite features are its stride and upper body workout. Weslo ellipticals have a 17.5” stride which makes it a great feature for its price, considering that this kind of stride is more commonly available for the higher priced, higher end ellipticals. 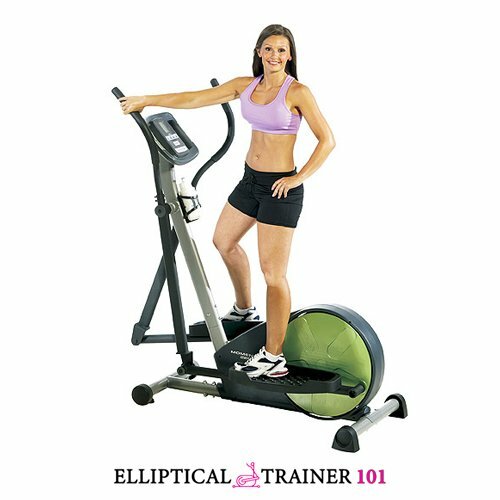 The more affordable ellipticals only have a 14 – 15” stride. Another great feature with Weslo is the upper body workout it gives you, specifically in the arms, which is actually a very common feature with Weslo elliptical models. The Weslo Momentum 220 X Elliptical Trainer is an entry level elliptical trainer that is cheap. Good fitness equipment doesn’t come with low price tags, it takes a lot for a company to manufacture a good elliptical trainer for less than $500, the price of the Weslo Momentum 220X is within this range but isn’t near good quality levels. Sooner or later this machine will give you troubles, the frame isn’t stable enough, it is noisy and unreliable, some customers complain that within weeks there are squeaky noises coming from inside the Weslo Momentum 220X, and the 90 days warranty is short enough to raise red flags all over the board. Let us see what you get with the Weslo Momentum 220 X Elliptical Trainer for less than $500. 4 personal trainer workouts, created by certified trainers and designed with heart health and weight loss in mind. A Dual grip Easy Pulse heart rate monitor, built into the handlebars for a safe and efficient workout. The digital resistance has 10 levels that do give some flexibility to the intensity of the workout, and there is a large blue-tinted LCD display that tracks speed, time, distance, calories burned, fat calories burned and your pulse. The 18’’ stride length is also good and appropriate for most users. Now, here is what doesn’t come in the catalog and you can find with a quick Google search. This is a low-cost machine, this type of elliptical tend to be noisy because the bolts and the frame, in general, isn’t built sturdy enough and everything will start to fall apart if you use it on a daily basis, as you should. Gym fees are somewhat expensive and it is more comfortable to buy a machine and do your own exercises at home. 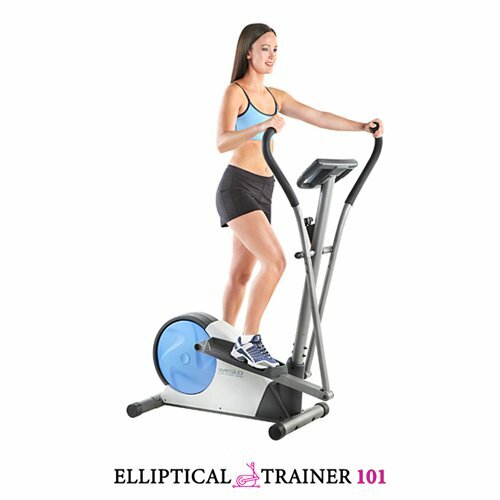 But in the case of the Weslo Momentum 220X, it may be less expensive to look for some 6 to 12 month deal in the gym near you than to buy this elliptical. If you really want to buy one, and still stay within a limited budget, then look somewhere else. The Weslo Momentum 220 X Elliptical Trainer is an entry level and low end machine, priced at below $500, it isn’t the best that you can find in this price range and it has every problem that an elliptical trainer can have due to being a low cost machine. Watch out, stay clear. A price tag of less than $500 in an elliptical trainer most probably spells headaches. The Weslo Momentum 620 Elliptical Trainer is priced within this range and it is worth to be looked once over and look then for alternatives. It lacks quality and it has a short stride length, and the warranty is ridiculous. It has some nice features like the expanded levels of resistance, 10 levels of digitally controlled Silent Magnetic Resistance, but they do break and do not work often times, and sooner than you would expect; customers complain that within a month the Weslo Momentum 620 will start to show signs of wear. Alright, here are the reasons why you should stay away from the Weslo Momentum 620: 90 days warranty, short 13’’ stride length and lack of quality in the construction. The warranty is far too weak for any of this fitness equipment that to be efficient have to be used daily and if they can’t take a beating with poor quality construction, then 90 days isn’t anything. 90 days warranty also is a sign that the manufacturer doesn’t put much trust in the product, only to guarantee that they will be responsible for it only for 90 days. The 13’’ stride length also doesn’t give out many positive signs, either the Weslo Momentum 620 was built to be used by a small person, or an average person will feel uncomfortable and probably break it after some daily exercises. The resistance has 10 levels and can really get you going; there are customers that were surprised positively for the effective use of the Weslo Momentum 620, but they also noticed signs of wear in the machine that seemed a bit worrying, and the noise was a bit annoying. For what you will pay for the Weslo Momentum 620, there are better options, not really for an elliptical trainer, because to get a good elliptical trainer it would cost you double or more of what the Weslo Momentum 620 costs, but other fitness equipment. In any way, it is best to think twice about the Momentum 620, and it will be a shot in the dark to find one really good. Weslo isn’t recognized as a top of the class brand, and products like the Weslo Momentum 620 don’t really make it look better either. If you are thinking to buy one, there are better options, a bit more expensive, but more reliable.